Joseph was particularly close to his father “because he was the son of his old age” (Gen. 37:3). The medieval commentary, Ba’al HaTurim, says that the letters of the word for “old age” – zayin kuf nun mem – are the initial letters of the sections of the Mishnah, i.e. Zera’im (“Agriculture”, which includes the rules of prayer), Kodashim (“Sanctities”), Nashim (“Women”, i.e. marriage and divorce) and Nezikin (“Damages”, i.e. civil and criminal law), and Mo’ed (“Festivals”, including Sabbaths). According to the Ba’al HaTurim, this shows that Jacob as a loving father taught Joseph the principles of Jewish law. 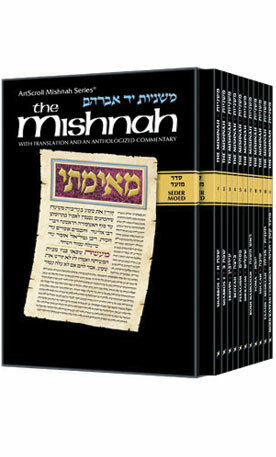 However, actually there is a further section of the Mishnah, namely Tohorot (“Purities”). Does this then disprove the Ba’al HaTurim’s theory? Possibly not, since Tohorot is very complex and difficult and Joseph was too young and immature to grasp it as yet. Whether this is true or not, we learn a fundamental rule of Jewish life from the whole discussion – that despite everything a child learns at school, it is much more important to imbibe knowledge, skills and attitudes from parents and home.